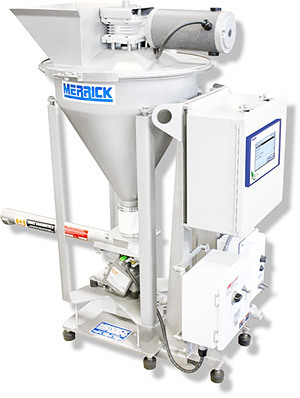 Model 530 Vibratory Loss-in-Weight Feeder | MERRICK Industries, Inc. The Model 530 can be used to feed free flowing material into a process at designated feed rates with gravimetric precision. It can also be utilized to deliver a set amount of weight (batch) into a process. The vibratory discharge device of the feeder is operated at a variable speed to deliver material from the feeder hopper into a process.